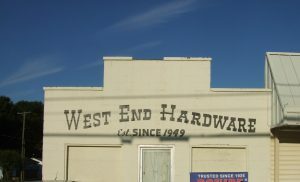 West End Hardware is an old fashioned hardware with a little bit of everything. Drive right up to the front door and be prepared for supreme service. Contact Us Today for all of your hardware, power equipment and hardware servicing needs in Western North Carolina.